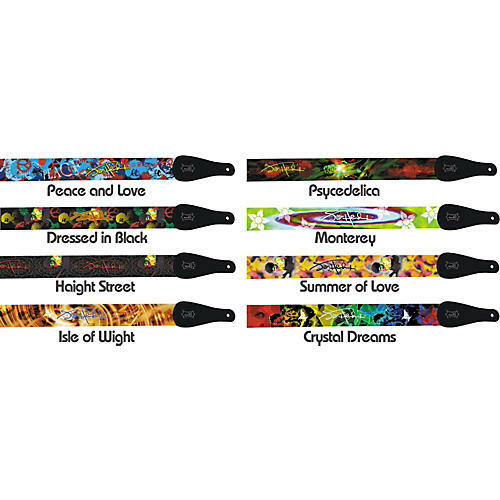 The Jimi Hendrix Design guitar strap is polyester with a full-color heat transfer of authentic Hendrix images. Tri-glide adjustment with extended tapered ends. 2" wide, adjusts to 60" long.